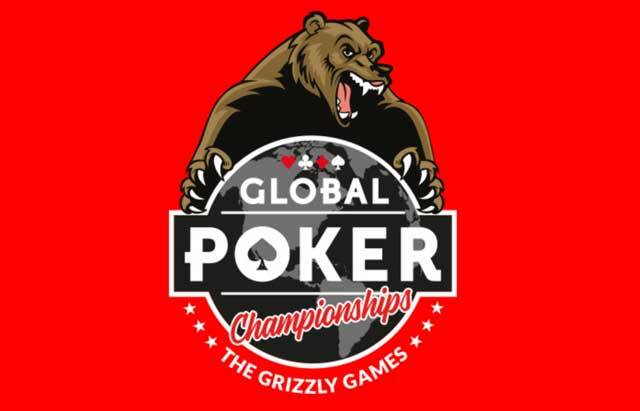 The GlobalPoker.com Grizzly Games Main Event is almost here! On February 11, the SC$50,000 guaranteed Main Event is slated to be the largest tournament ever held in Global Poker history and there’s still time for players to win their way into the action. GlobalPoker.com, the online site that offers real-money prizes to both the U.S. and Canada thanks to its unique Sweepstakes model, is in the midst of their second championship series, the Grizzly Games. With less than a week left until the Main Event, players are feasting on the high-value tournaments and setting themselves up to make a run at the SC$50,000 guarantee slapped on the Main Event. The SC$218 buy-in may make it a major tournament but taking a seat at the table for it doesn’t have to break the bank. Right up until the tournament starts, Global Poker is running satellites to help players get into the action for a fraction of the buy-in. Satellites to a variety of Grizzly Games events start for as little as SC$1.50. With a variety of offerings, bankrolls of any size can find a price point that helps them step their way into Championship tournaments and even into the Main Event. Main Event satellites start at SC$2.14 where winners will earn a ticket to one of the SC$16.50 events. From there, you’re just a finish away from the Main Event as all players who survive that satellite will be playing for big money in the Main Event. Of course, big ballers can buy directly into any level of their choosing. Not only are there a variety of buy-ins but also different variants to help you get in depending on what you like to play. Re-buy tournaments? Yep. Hyper Turbos? Yes, please. Whether you want to get it in quick or play a tournament with more structure, the satellites to the Grizzly Games offers players their preferred style to punch their ticket into the Main. Along with all the Sweeps Cash that is up for grabs, glory is also at stake. The winner of the Main Event takes home a Global Poker Champions Pack that includes some great Global Poker gear as well as a giant, real-life Grizzly Bear Trophy for the mantle. The Main Event is set to take place on February 11, but between now and then there are still a whole host of Grizzle Game events with fantastic prize pools. There is still over SC$150,000 worth of guarantees left in the series so players still have time to cash in on the tremendous values of the Grizzly Games over at GlobalPoker.com.